Looking for an interesting alternative to the traditional bonsai plant varieties? Would you like an amazing addition to your full-sun fairy garden? 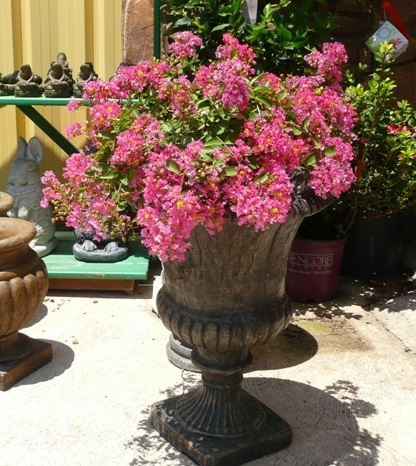 Our Miniature Crape Myrtles make amazing bonsai specimens. They are naturally small with unique stem structure, striking bark and a horizontal grow pattern that makes them perfect for the art of Bonsai. 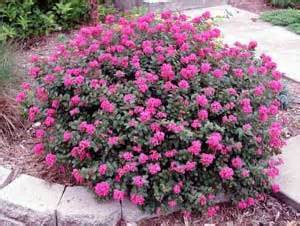 Why Use Miniature Crape Myrtles for Bonsai? 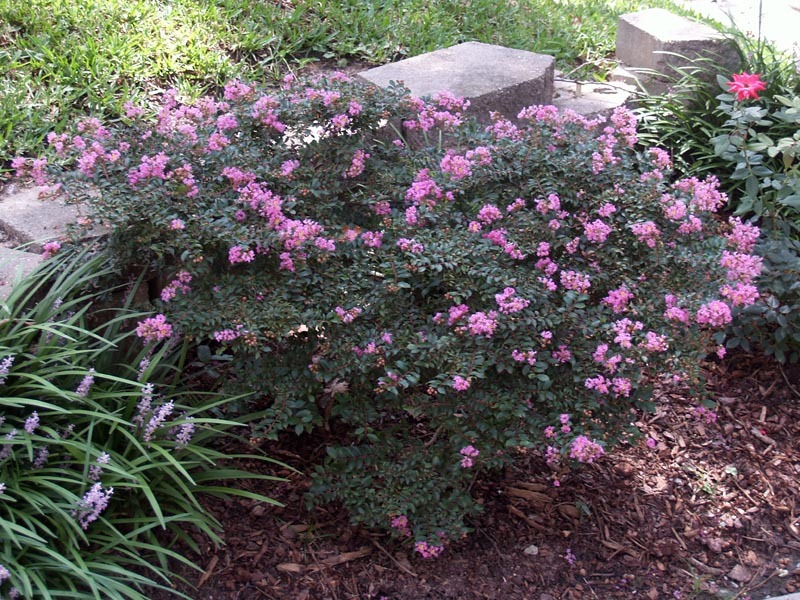 Our Patented Miniature Crape Myrtles are the result of over 20 years of hybridization and breeding. They have been engineered to be genetic miniature trees, so they won't grow very tall even if you don't prune or trim them. Think of breeding full size horses down to miniature horses. "Bonsai" are plants that would normally grow up to be full size trees. 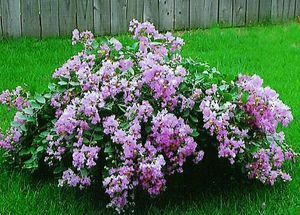 They are pruned and trimmed several times a year to artificially keep them small and looking like miniature trees. 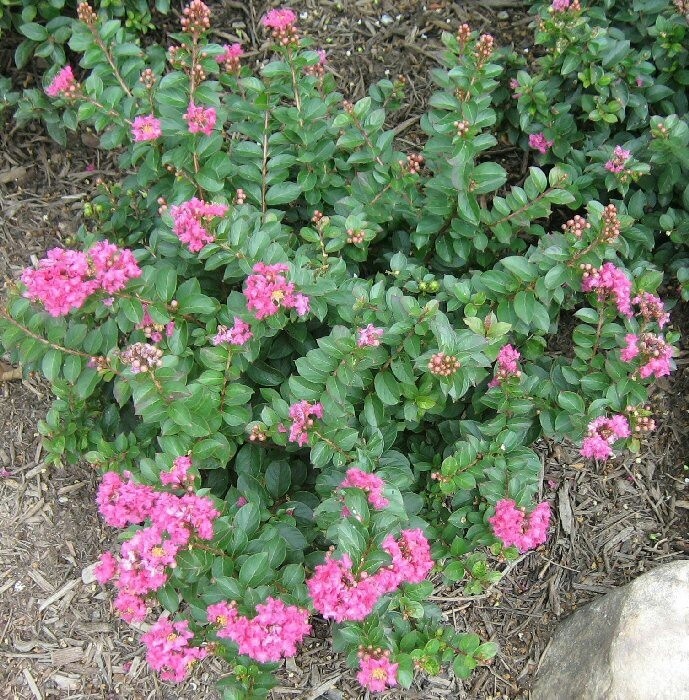 With our Miniature Crape Myrtles, you have a head start on creating a beautiful bonsai specimen! They naturally require less trimming and pruning than the traditional species used for bonsai. With unique bark and a summer long blooming season, you can create an unusual and beautiful bonsai that will surely be the envy of your friends with significantly less effort. A few years ago I was invited to attend a Bonsai lecture/demonstration conducted by a Japanese Master Bonsai Artist. We were invited to bring to the class our own unfinished Bonsai plants. I brought along a few of the Mini Crapes in bloom that I was Bonsaing. The Master took one look at the Mini Crapes and exclaimed "Ooohhh.....Instant Bonsai" and I have used that phrase ever since. 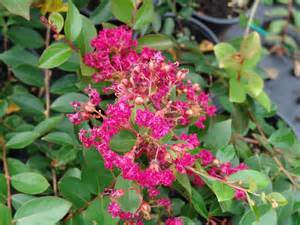 Check out our Miniature Crape Myrtle Page to see all the Bonsai possibilities!